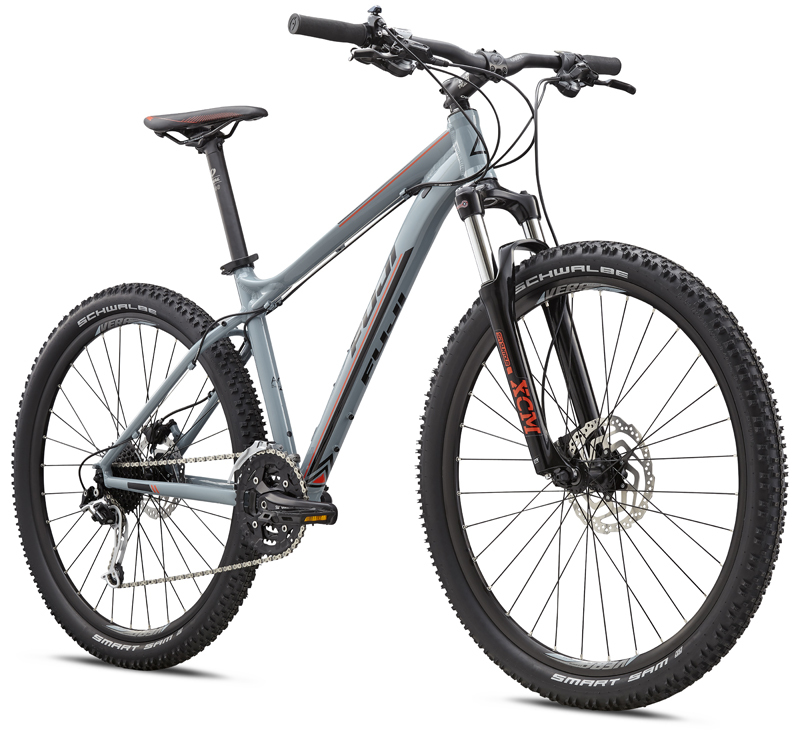 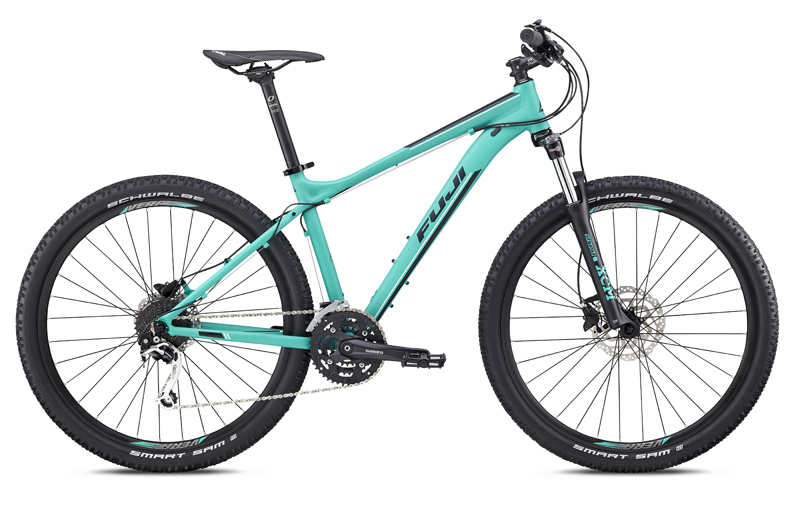 Mountain Bikes | FUJI 2018 NEVADA 27.5 1.3 | NEVADA 27.5 1.3 | FUJI 2018 | BikeShopWarehouse.com | The Fuji Nevada 27. 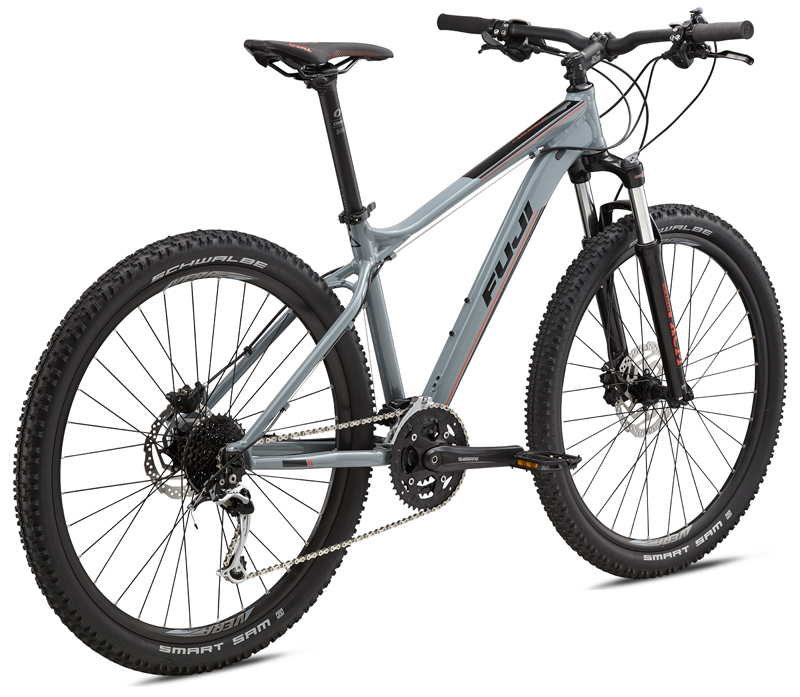 The Fuji Nevada 27.5 1.3 is the perfect mountain bike for taking on anything from neighborhood streets to the gnarliest single-track trails. 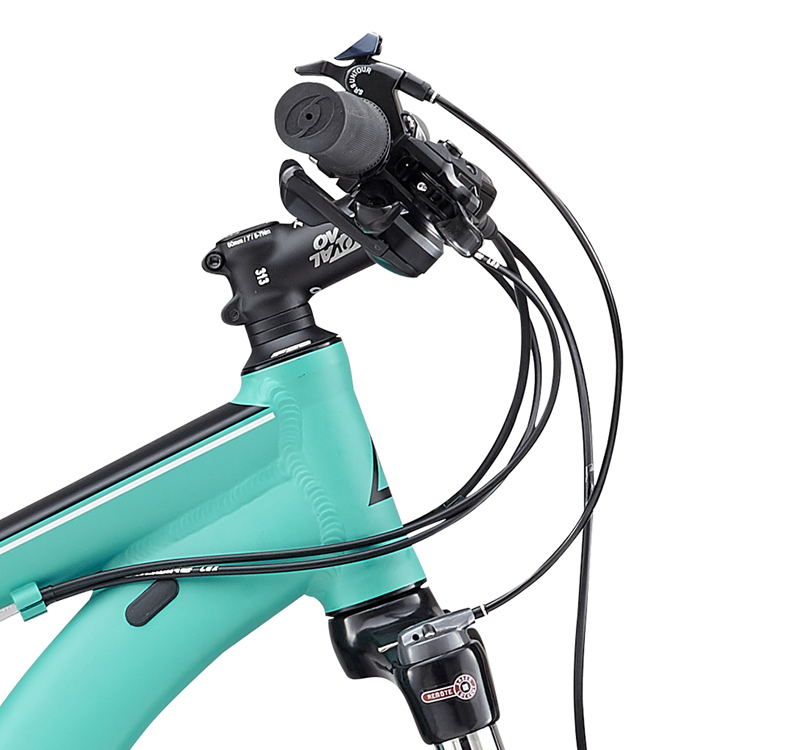 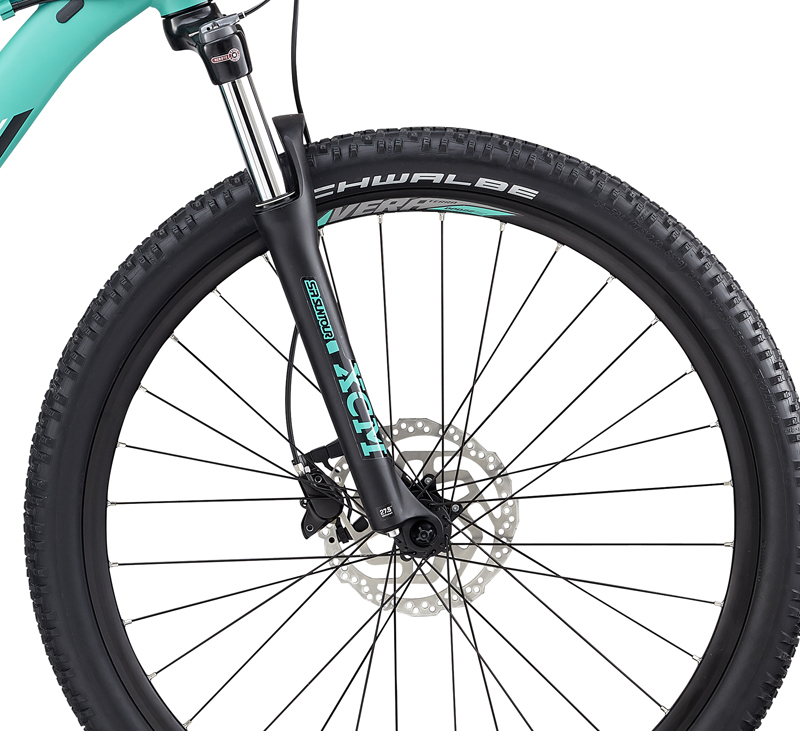 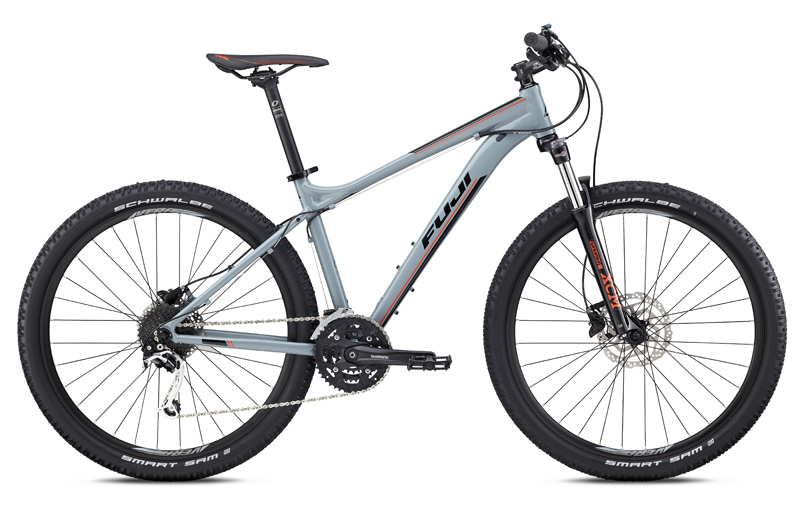 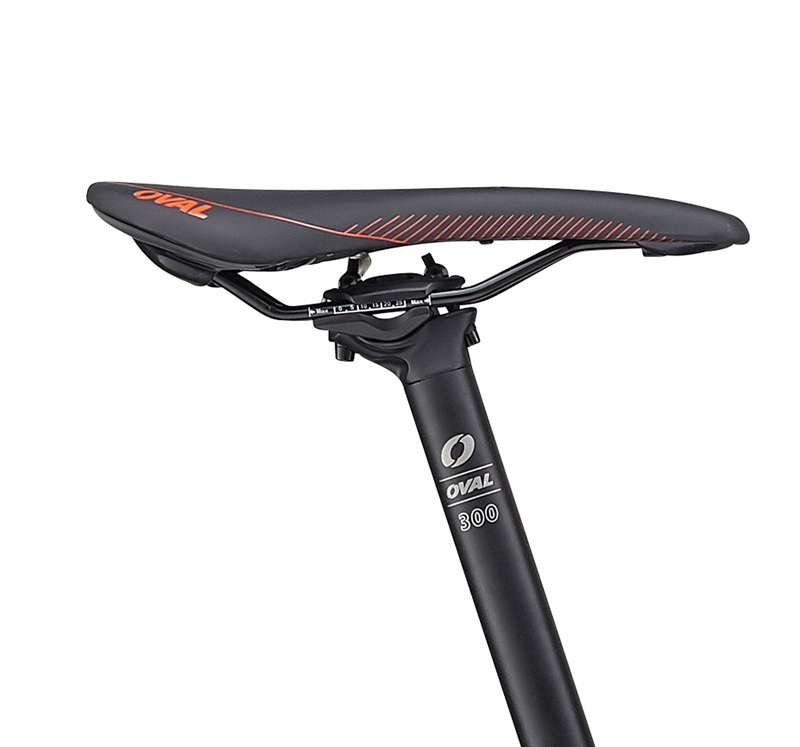 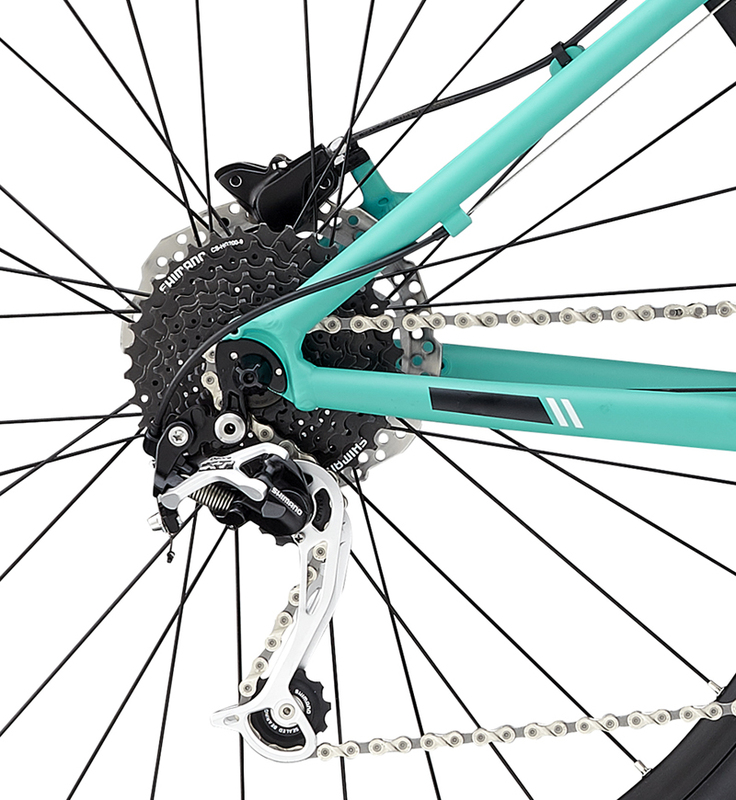 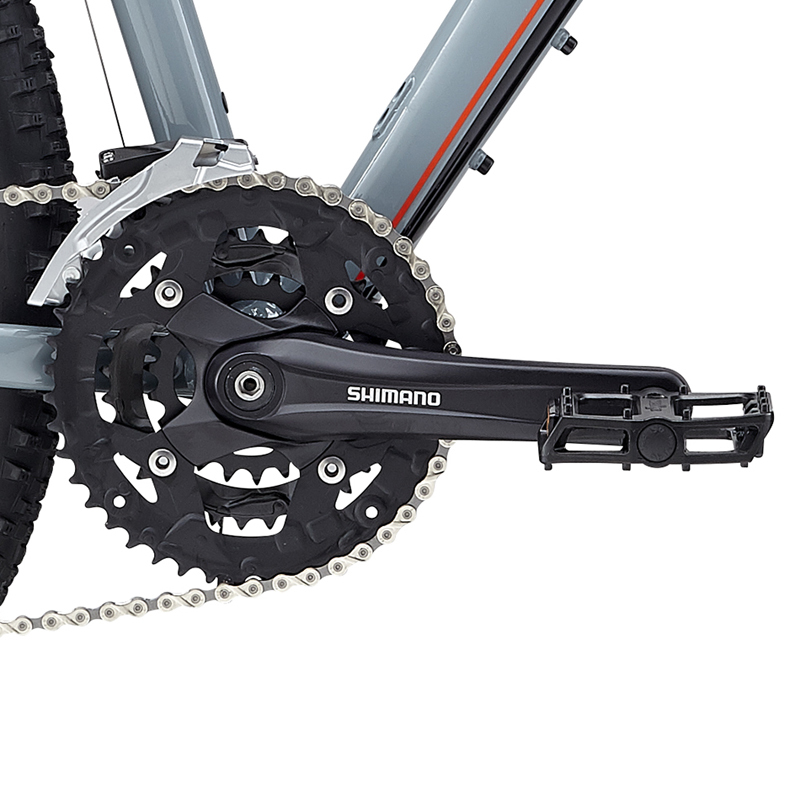 It features a proven Shimano 27sp Drivetrain, wide range Shimano Gearing, a SR Suntour Fork, powerful Shimano M315 Hydraulic Disc Brakes, and Stout Vera Terra DPD 22 27.5" Wheels & Schwalbe Smart Sam Tires.